In 2017, Virginia’s drivers spent $33.5 million on 13 million gallons of imported gasoline and diesel per day to fuel their vehicles. Transportation forms an integral part of Virginia’s economy and environment and the transportation sector is the largest end-use energy-consuming sector in the state according to the 2018 Virginia Energy Plan. In 2017, Virginia’s drivers spent $33.5 million on 13 million gallons of imported gasoline and diesel per day to fuel their vehicles. Each gallon of gasoline produces 19 pounds of carbon dioxide (CO2), making transportation the largest energy user, the largest source of carbon dioxide, and a large expense for a product produced out of state or out of the country. 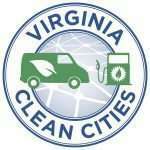 Virginia Clean Cities connects with fleets, biofuel producers, and station operators to present this status of fleets, fuel production, and stations in the transition to cleaner, domestic, and/or renewable fuels. Data was collected by Virginia Clean Cities through infrastructure development, emails and phone from January 1, 2017 to December 31, 2018. For the year ending December 31, 2018, the Commonwealth of Virginia saw a decrease in the number of tracked alternative fuel fleet vehicles by 1.2%. 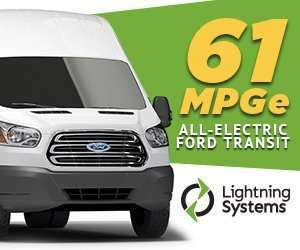 The current percentage of alternative fuel vehicles used in Virginia fleets is 41%. Biofuel Production declined to 12.5 million gallons. Fueling stations grew by 11% to 825 total stations. Read the report here, or view it below. Virginia Clean Cities advances air quality improvement, economic opportunity, and energy security through deployment of alternative fuel vehicles and infrastructure, education programs, and other petroleum reduction activities.